While doing some reasearch on my exhbit, I came upon a copy of Byte October 1977, and on page 54 there is an article about the National Computer Conference in Dallas, TX June 13-16. On that page is a picture of a prototype PET 2001. I posted two scans, one blown up so you can read the face plate. ...this is to my knowledge the first known photo from a magazine of a CBM PET 2001, and a prototype to boot. 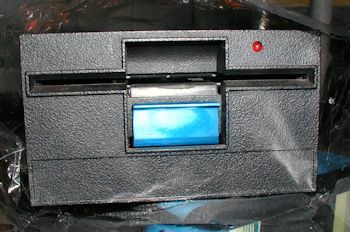 BUT this is not the first known photo (Seach this site for "gametronics") - Note that the mag pic PET plate reads: "PET Computer 2001" on the front right (as seen in the blown-up of the two scans). SO - If the Dallas convention marks the first public appearance of the PET 2001. This event coincides with the VCF E ( http://vintage.org ) - 30 years ago to the day, minus one week.